My name is Sarah. Corey, my husband, and I met early in 2013. He sells roofing supplies, I am a full time stay-at-home mom to our two daughters, Penelope, 18 months and Olive, 2 months. I have a bit of background in healthy eating, as my mom has been an alternative eater for most of my life, but never really had any surefire recommendations to fall back on. I’ve dabbled in, and researched everything from raw foods to vegetarianism, but none of these ever quite fit our lifestyle or left me feeling very satisfied. We watched the documentary Food Inc. in the summer of 2014, I’ve always had a soft spot for chickens, and the scene involving a CAFO chicken farm unnerved me. Joel Salatin really stood out to me from that film, so I started searching in the direction of sustainable foods. I knew a little about the Paleo diet, and continuously came across references to Dr. Weston A. Price. In the spring of 2015 I became pregnant and began looking into ideal baby foods. Everything I read regarding a traditionally appropriate diet led back to the book Nourishing Traditions and the research of Dr. Weston A. Price. I mentioned Nourishing Traditions and the corresponding Nourishing Traditions Book of Baby and Childcare to my mother in passing and soon after she gifted them both to me! Corey and I, unfortunately, bonded over a love for pizza and blizzards early on, but we also share a love for learning so we try to think of our diet as an ongoing project which can always be improved! We both had poor dental health going into this, so having children has certainly spurred us on, to make better choices for the sake of their teeth, and growing bodies. We have come to enjoy sourcing our foods! When this started I had a “checklist” of standards and ingredients I wanted to see on my food’s packaging, but since then it has evolved into an attempt to avoid packaging on our food whenever possible. We are part of a raw milk herd share, CSA, and purchase the majority of our meat, eggs, and produce at our local farmers market. I believe children need to see the source of the food that is nourishing them! We still ask about organic practices, but I put more value in the word of my farmer than any government certification. Choosing to only eat grass finished/pastured meats, and cutting out obvious processed food items was the first thing we changed, then I stopped limiting or being self conscious about the amount of butter I ate! I’ve always loved butter, but for the first time I felt comfortable with the habit! I also quit grains at one point because I was overwhelmed and intimidated at the prospect of properly preparing grains as well as planning ahead, but I’m currently learning to work with sourdough, thanks to my very patient mother! I no longer suffer from debilitating stomach aches, spontaneous acne, frequent colds, digestive upset or any of the other fun features that are side effects of the SAD [Standard American Diet]. I see my toddler asking for things like pickles, liver, and milk, and I love that she has no context or desire for the gummy snacks she has yet to confront! Eating ample fats has made a large difference in my energy level, now when I’m tired and dragging I think back to whether I ate enough fats throughout the last few days. Corey had always had a milk aversion, and I never really pinpointed it until we started drinking raw milk. He had been avoiding milk for as long as he could remember, because it upset his digestion. All of the milk he had ingested up until this point, had been pasteurized, and most was skim! He now enjoys raw grass-fed whole milk on a daily basis! We love bacon, butter, and eggs! Corey and I could both eat “breakfast” three meals a day. Currently Penelope’s favorite food is dried anchovies, but she’s a huge fan of any fish! Kefir with berries and honey is a favorite “quick” meal of mine. Cutting out packaged foods is a great way to start! It forces you back into the historic norm of preparing and cooking your own meals. Start with your children, it is so much easier to teach good habits now, than to break bad ones later in life! I so appreciate everything the Nourishing Our Children Facebook community has done for us! The forum is an invaluable resource, especially for parents, looking for guidance on their child’s diet! 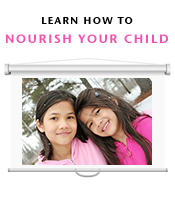 This blog post is part of our Nourished Families series. 5 Responses to Cutting out packaged foods is a great way to start! Beautiful family! It’s always fun to see other families living and doing well. I agree! I would love your testimonial to add to ours series! Love reading other people’s journeys. What a great way to inspire others and let them know it can be done! Thank you for your supportive feedback! It is very gratifying for me to read the positive impact we’ve had as a community. What a lovely testimony! The girls are so precious and I love how you can tell your energy level based on the fats you have been eating. The picture of you with the cow is my favorite! I was in a similar boat as your husband with milk – had always been unable to tolerate it until I tried raw milk. It is amazing!